1. Preheat your oven to 180°C/350°F/Gas mark 4. Cover a baking sheet with nonstick baking paper. 2. Whisk the egg whites until they are just stiff. Gradually add the sugar, a little at a time, whisking well after each addition. Continue until all the sugar is incorporated. Whisk for another 1-2 minutes until the meringue is stiff and glossy. Whisk in the cornflour. 3. Spoon the mixture into a circle on the baking paper, making a slight dip in the middle. Place the baking sheet in the oven and immediately reduce the temperature to 130°C/250°F/Gas mark ½, and cook for 1½ hours. 4. 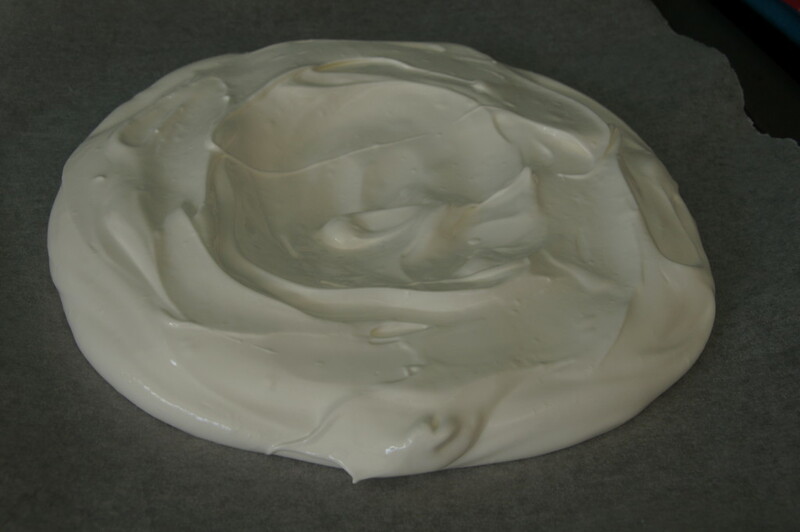 When cooked, turn the oven off and leave the meringue inside until the oven is cool. 5. 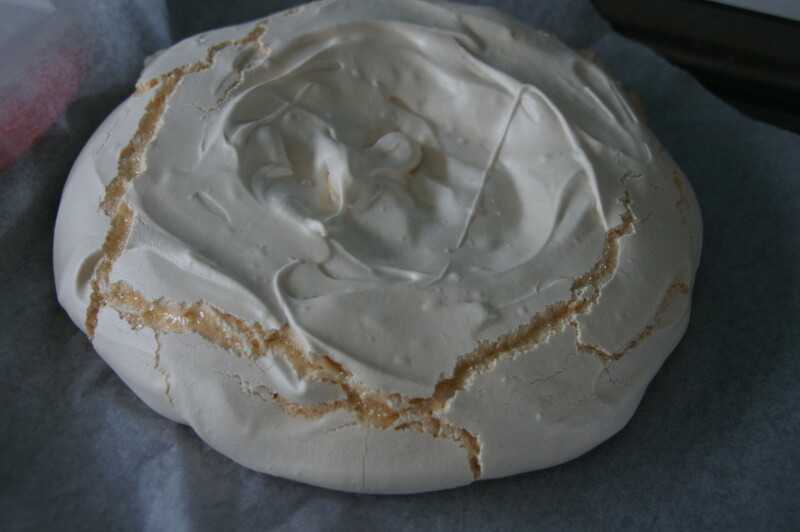 Peel the pavlova off the baking paper and place onto a serving plate. 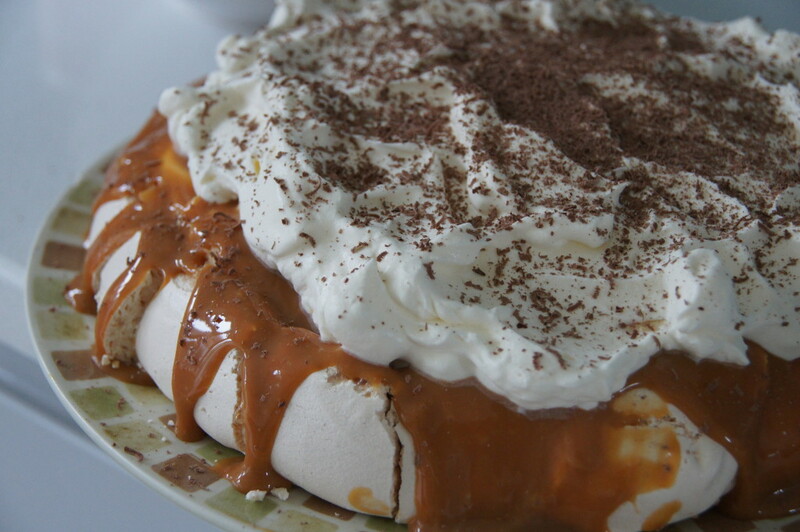 Beat the caramel to soften it and then spread over the pavlova. Top with the slices of banana. 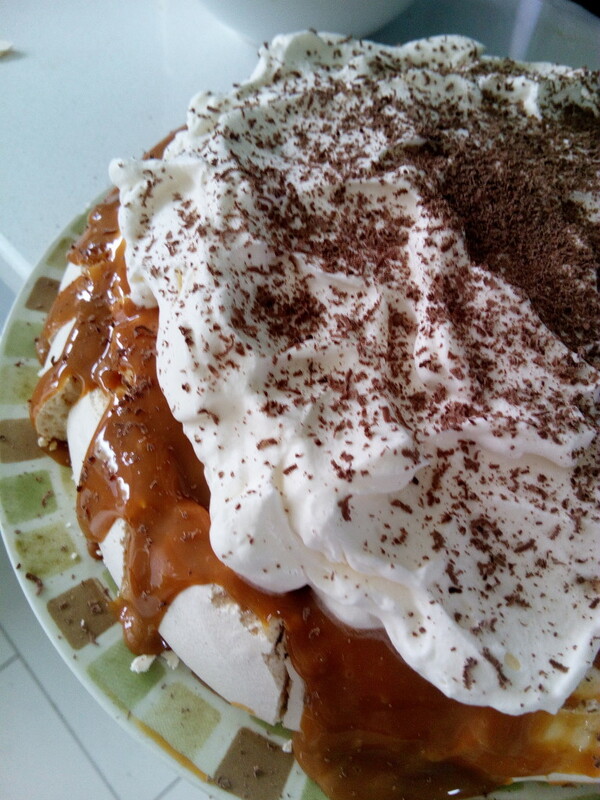 Whisk the double cream until soft peaks form and then spoon over the bananas. Finish off with a sprinkling of grated chocolate.